Skin feels firmer and beautiful. 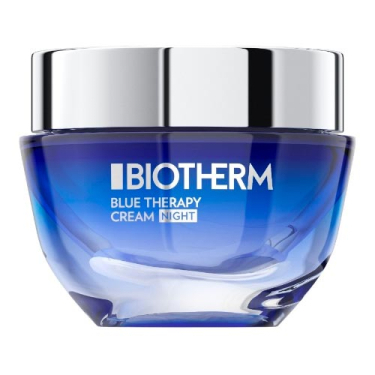 Blue Therapy Night Cream is a Biotherm night cream to repair the visible signs of aging. 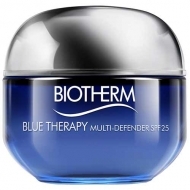 This anti-aging formula acts during the night when the skin is most receptive to repair and regeneration. Protects the skin from external aggressors and acts directly on the appearance of signs of aging, lack of firmness and skin texture. Wake up each morning with a visibly beautiful skin. Day after day, wrinkles appear softer, dark spots are reduced and facial contours feel firmer. Use daily to face and neck. 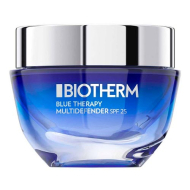 For best results partner with Blue Therapy products.